A great anthology with fantastic horror authors. So great to find out about Benji and the very last story was absolutely amazingly messed the hell up. A must read for horror fans. 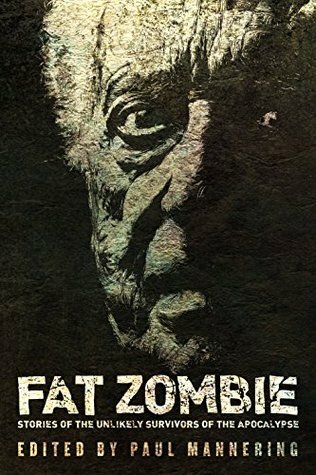 'Fat Zombie' is a collection of unusual zombie tales from some of the very best authors in the genre right now.Usually with anthologies I love one or two stories, like a couple more and a few totally miss the mark. This anthology was pretty damn great from start to finish. There were no stories that didn't hold my interest. Having read a lot of zombie fiction I was very pleasantly surprised by how different these tales actually were.I had three favourites that stuck out to me the most: 'Perfect' by Rachel Aukes, 'Mr Schmidt's Dead Pet Emporium' by Sally McLennan, and 'The Dark Ages' by Stephen Kozeniewski. While all of the stories were pretty unique these were the ones that surprised me the most with unusual twists and characters. Overall this is an excellent read for fans of the genre. Highly recommended!Note: I received a copy of this book in exchange for my honest review.